welcome to California and the San Francisco Bay Area. if you are traveling in a car then the two most important roads you need to know are Highway 101 and it's scenic counterpart and much talked about Hwy 1. Hwy 101 is the longest highway of any kind in California + it is the major coastal north–south route that links Los Angeles, the Central Coast, the San Francisco Bay Area, and the North Coast. it goes all the way up to Oregon - where it passes through the world's tallest and only extensive preserves of virgin, old-growth coast Redwood trees. it is Hwy 101 that takes you across the Golden Gate Bridge. travel an hour north on Hwy 101 and you will enter the world-famous wine country: Napa Valley + Sonoma Valley and the lesser known, but even more beautiful Dry Creek + Alexander Valley, travel one hour South on 101 from San Francisco and you will be in the heart of the Silicon Valley. north of the Golden Gate Bridge, Hwy 101 enters Marin County and will also be called the Redwood Highway from now on. after crossing the Golden Gate Bridge, Hwy 101 climbs the Waldo Grade and passes through the Robin Williams Tunnel - the only one of its kind in 300 miles. Upon exiting the tunnel, it passes above the hillside town of Sausalito and descends to Richardson Bay, where famous Highway 1 splits from Hwy 101 and heads to the coast - via Muir Woods, Stinson Beach and Bolinas then continues north to Bodega Bay and Mendocino. All these coastal towns are worth a visit. be prepared Hwy 1 is a curvy road. Hwy 101 then passes through the charming towns of Mill Valley, Larkspur, Corte Madera, San Rafael and Novato before entering Sonoma County - the gateway to the wine country. The key wine country towns in Sonoma County are Sonoma, Napa and Healdsburg - all of them world famous by now + all of them reached via Hwy 101. Here are some of our favorite ideas for day trips taking you both north and south on Hwy 101 - wherever we send you - be assured that it is going to be beautiful. Always keep your eyes open our suggestions will guide you to the places you want to see + feel + explore. if you want to experience san francisco like a local then spend the day with us as described below - we will take you to nicest neighborhoods, best eateries and greatest views of the bridge and the city. Tip: always dress in layers it can get chilly in San Francisco ! our day in san francisco starts with breakfast at The Grove on 2016 Fillmore Street. On the weekend and in the afternoons Fillmore Street is a lively place and home to the famous Jazz Festival in the summer. The Grove is great for breakfast any day of the week. after breakfast head over to the Pacific Heights neighborhood and then down the hill to the Marina on Divisadero - along the way stop for breathtaking views at the local parks Lafayette Park or Alta Plaza Park - you can basically take any street that takes you down the hill - they all end up at Crissy Field and the Bay. Divisadero is just one of them. if you are old enough to remember the "Strassen von San Francisco" - you now know where they were filmed - right here! go for a walk or bike ride at Crissy Field + the Marina ( you can rent bikes at Sports Basement at Crissy Field) ...this excursion can take 1-2 hours and you will get some of the best views of the Golden Gate Bridge + the San Francisco Bay from right here + you will feel like you live here. everyone in San Francisco exercises. we walk, run, bike and those who dare - swim or kite surf. stop at the Warming Hut if you need any refreshments. if the Fort below the bridge is open walk thru it and go upstairs - it offers amazing views. close by is the Palace of Fine Arts. make sure to see it at night!!!! - everyone looks at it during the day - and that is nice - but night time is extra special. make it a picnic and bring wine + cheese or get take out chinese from Dragon Well. you will enjoy the evening glow of the park - it is safe and breathtaking! After that head one block down to the marina for great night views of the Golden Gate Bridge. If you love touring at night make sure to see the Bay Bridge ( to Oakland ) at night. for lunch go to Chestnut Street in the Marina here you will find some of my favorite restaurants Dragon Well + Blue Barn + The Plant all on Chestnut - great for a healthy + delicious lunch, dinner or take out. Chestnut Street + Union Street (which runs 3 or 4 blocks parallel) is were the young + hip + healthy meet for lunch + dinner + shopping. this is what living in San Francisco is all about. on sundays you will find a food truck extravaganza in the presidio around lunchtime - everyone brings their kids, dogs and a picnic blanket for an afternoon on the lawn. after lunch go on a short but scenic drive thru the Presidio via Baker Beach, Lands End, Legion Of Honor to the Cliff House + Ocean Beach. this is one of the most scenic routes in San Francisco - along the ocean and the Golden Gate. The Cliff House + Ocean Beach are also great places to watch sunset - you will need reservations for dinner at the Cliff House. From Ocean Beach you can drive thru the Golden Gate Park - via the wind mills back to 19th Avenue, which will take you back to the Golden Gate Bridge, the Presidio + the Marina. super cool + time sensitive current event - until August 20 make time to go to the De Young Museum - they are celebrating the 50th anniversary of the summer of love festival - also look for the nightly "summer of love light show" in Golden Gate Park. Hippies, sometimes called flower children, were an eclectic group. Many were suspicious of the government - rejected consumerist values, and generally opposed the Vietnam war. A few were interested in politics; others were concerned more with art (music, painting, poetry in particular) or religious and meditative practices. Cafe Claude on Claude Lane, for dinner - at night you should go to any restaurant at Belden Place or Maiden Lane - it is an alley in San Francisco filled with charming restaurants. The Ferry Building is another must see - it walking distance from Downtown Union Square - you will find eat- drink - shop at it's finest. from San Francisco take the scenic route thru the Presidio via Lands End, the Cliff House, Ocean Beach along Skyline Blvd to Hwy 1. Follow Hwy south 1 via Pacifica to Half Moon Bay - have a quick stop in Half Moon Bay on Main Street - then continue south towards Santa Cruz. Stop briefly in Capitola. Next stop is Monterey if you have time visit the aquarium in Monterey then continue to Carmel. if you have never been to a Whole Foods Market - check it out in Monterey - it is nirvana for health conscious foodies - as you depart Monterey going south on Hwy 1 start looking for the Pacific Grove exit - then drive along the ocean to Carmel. stop at some of the beach coves along the way. then make sure to take 17 mile drive into Carmel. there is an entrance fee. Carmel by the Sea - is unique, exquisite + filled with exclusive restaurants, shops and art galleries, but it is the white sandy beach + the architecture of the homes along the beach - that make Carmel so special. Just follow the road along the water and drive from one end to the other. Clint Eastwood used to be the mayor of Carmel (1986-1988) and this town has some unique laws - such as a no heels law, yes - per city ordinance you need a permit to wear high heels above 2 "" - there are no street addresses - and there was time when selling or eating ice cream on public streets was forbidden. There are no fast food or chain restaurants in the City of Carmel - instead you will find many charming eateries and tasting rooms offering a full range of cuisine and wine tasting. take your time in this town and explore on foot and don't forget to take off your shoes for a walk along the beach - get your feet wet! Big Sur is located just a few miles south on Hwy 1. stop at Nepenthe in Big Sur and enjoy a meal or refreshments outside overlooking the Big Sur coastline. To splurge stay at the Ventana Inn + Spa or better yet Post Ranch. If you love glamping - then Treebones Resort is the place to go. After that you may have turn around due to road closures ... please make sure to check current road conditions before you head south on Hwy 1.
just 10 minutes outside of San Francisco are the Marin Headlands ... from here you will get the most breathtaking views of the Golden Gate Bridge - take Hwy 101 North and drive across the Golden Gate Bridge to Marin County - you can easily spend a day exploring Marin County and it's charming towns or just explore the Headlands with their views and hikes - our promise is that you will get some of the best views of the city + the bridges - so have your camera ready ! if you are not a city person then Marin County is heaven - this is where you would live - close to the city, but not in the city. what makes Marin County so special is that there are several small towns within a 10 mile radius - all of them hip -charming and picturesque. directions: from San Francisco take Hwy 101 North and drive across the Golden Gate Bridge - take the very first exit after the bridge - Alexander Avenue. At the stop sign turn left, go under the Freeway and then head up the hill into the Marin Headlands - stay right + be careful that you don't drive back onto the bridge! the Marin Headlands are a part of the Golden Gate National Recreational Area - from the mountain top of the headlands you will see the ocean on one side and the Golden Gate Bridge + San Francisco Bay on the other - this is what I call a Kodak moment with 360 degree view! If possible come here early in the morning for sunrise or at the end of the day - the sunsets and full moons are breathtaking - and less crowded. there are multiple look-outs as you go up the hill - stop at all of them - each offers a different perspective of the bridge. make sure to go to the top of the hill - park your car and walk up to the very top - it will only take you 5 minutes of walking - but the views are priceless + endless. On your way down from the headlands you can go to the Pt Bonita Lighthouse or Rodeo Beach. Go to Cavallo Point - for more breathtaking views of the Golden Gate Bridge. Sausalito - you will have a wonderful time in this waterfront small town. Everyone stops in downtown, but only the locals know about Caledonia Street and it's great restaurants. And then there is Schoonmaker Beach. This is a white sandy beach with stand up paddle boards and kayaks for rent - close by is Le Garage - a Bistro with great outdoor seating. If you want to see the famous Sausalito Houseboats - make sure to walk around Schoonmaker + the bike path. Another local favorite - just a few blocks down is a new restaurant called Fish. Mill Valley - if you don't have time to go to Muir Woods, but want to see the giant sequoia redwood trees - go to Old Mill Park by the Mill Valley Library in Downtown and walk thru the neighborhood along the creek - there is only one street - this walk takes you 15 minutes but you will feel like you entered an enchanted world. time stopped here centuries ago. look for the stairs that go up the hill - they are somewhat hidden between houses they are part of the famous Dipsea Trail. where to eat: at Sunnyside (best breakfast) - Boo Koo or Angelino (lunch or dinner) - but the truth is there are so many amazing restaurants in this little town - look for El Paseo (dinner only) - it is next to Sunnyside - walk thru their courtyard - you think you arrived in italy + Romeo + Juliet's balcony. Tiburon - this is living on the water at it's best - as you drive into Tiburon make sure to go on a short 10 minute sightseeing detour - from Tiburon Blvd turn left on Gilmartin Street. head up to the top of the hill - shortly before the very top you will come to a trail / look out pasture that will provide you with another breathtaking view of the city - all three bridges ( Bay Bridge + GGB + Richmond Bridge) - Mount Tam and far beyond. Park your car and go on a 2 minute walk to the edge of the pasture - bring your camera! From here head down the hill back to Tiburon Blvd - turn left onto Tiburon Blvd. At the next traffic light turn right - San Rafael Ave - this will take you to Belvedere. Drive along San Rafael Ave, make a left at West Shore and then first right up the hill - just follow the road and let yourself be surprised! This road will take you eventually to Downtown Tiburon. Enjoy! where to eat: Sam's is a classic, but every single restaurant in Tiburon is great including the Woodlands Supermarket + Rustic Bakery - you can't go wrong. Make sure to walk along the waterfront all the way to the far left side so that you get to see the Golden Gate Bridge - which you can't see from the ferry terminal. other great towns to visit in Marin: Larkspur, Ross, San Anselmo, Fairfax and if you like the ocean go to Stinson Beach and Bolinas. from San Francisco head north on HWY 101 across the Golden Gate Bridge. stop for breakfast at Rustic Bakery in the Marin County Mart in Larkspur - just off Hwy 101. after breakfast continue north on 101 to Hwy 37 in Novato. Head east on 37 towards Sonoma. This will take you approx. 45 minutes. follow the signs to Sonoma - shortly after the Sonoma Raceway you will see the wineries and their tasting rooms. we love RamsGate, Viansa ...make sure to stop at Cornerstone Market Place. then follow the signs to Sonoma/ Hwy 12. 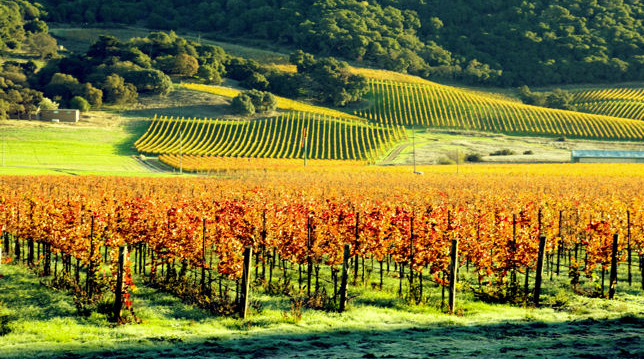 Sonoma is a wonderful small town with great restaurants, tasting rooms and shops. including the famous Williams + Sonoma original store - from here follow Hwy 12 to the small town of Glen Ellen, then on to Kenwood. if you didn't eat in Sonoma then grab lunch In Glen Ellen at the Jack London Saloon. HWY 12 will continue to Santa Rosa and back to Hwy 101. Take Hwy 101 South to head back toward San Francisco. In case you want more wine country extravaganza - head 15 minutes north on Hwy 101 from Santa Rosa to the charming town of Healdsburg. Here the Alexander + Dry Creek Valley await - with their amazing boutique wineries....Dry Creek, Ferrari Carrano etc. Healdsburg is a wonderful small town. From here you are approx. 1.5 hrs back to San Francisco via 101 south. In case you have more driving in you can take the very scenic Napa Valley Route home - thru the Alexander Valley to Calistoga - via why 29 to Napa - to San Francisco. from San Francisco head north on Hwy 101 across the Golden Gate Bridge. stop for breakfast at Rustic Bakery in the Marin County Mart in Larkspur off Hwy 101.
after breakfast continue north on 101 past Santa Rosa to Healdsburg. this will take you less than 1.5 hrs drive time. After a stroll thru Healdsburg + a stop at the Oakmont Grocery + Flying Goat Coffee Co. head 10 minutes north to the Alexander Valley. drive thru the Alexander Valley to Calistoga. Alexander Valley is filled with small family wineries. Calistoga is the beginning of the Napa Valley. Follow Hwy 29 thru the Napa Valley - and the towns of Calistoga, St. Helena, Yountville to Napa. Make sure to stop at Villa Amarosa outside of Calistoga. Clos Pegase Winery close to Yountville has an impressive art collection - including a Thomas Moore Sculpture. all kitchen lovers + chefs must stop at Dean + De Lucca outside of St. Helena and the Oakmont Grocery on the way to Yountville. La Travigne is a fantastic Italian Restaurant in St. Helena. Yountville is worth driving thru - it is boutique hotel + tasting room heaven! Soon you will arrive in Napa. Follow the signs to downtown Napa and go to the Oxbow Market - after that walk across the river to the the Riverfront area to get a gelato. You will also find one of best japanese restaurants at riverfront. Back on Hwy 29 follow the signs to San Francisco - it is a one hour drive back to the city. from San Francisco take Hwy 280 south towards San Jose - exit at Palo Alto - Stanford University. Beam Store at 425 University Ave The store provides a fun way to experience the Beam Smart Presence System first-hand. 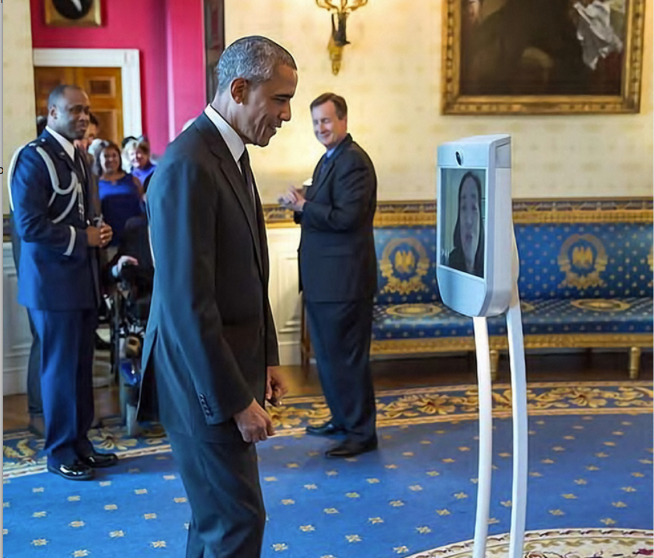 Beam is transforming human interaction in our increasingly virtual world. Beam is a personal and natural way to collaborate, check in and be present no matter where you are. the space opens the Smart Presence experience to anyone visiting Palo Alto by engaging the community, and connecting long-distance family and friends via Beam. Walk in - Plug in - Start up at HanaHaus - at 456 University Avenue - this is one of the most amazing co-working + meeting place in the world. the air is charged – and not just with WiFi and espresso. Bill Burnett is the executive director of the Stanford Design Program + cofounder of Life Design Lab, as well as well as former leader of Apple's PowerBook product line. Dave Evans is cofounder of the Stanford Design Lab, a lecturer in the Stanford Design Program - and a management consultant.